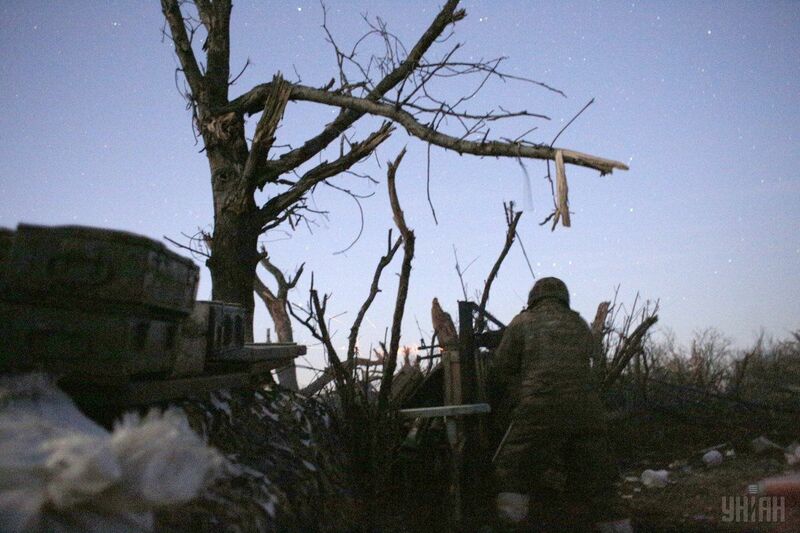 Two Ukrainian soldiers were killed in action and another four were wounded in action in the zone of the Anti-Terrorist Operation in eastern Ukraine in the last 24 hours, speaker for the ATO at Ukraine's Defense Ministry Andriy Lysenko told a briefing, according to an UNIAN correspondent. "Over the past day, two Ukrainian soldiers were killed and another four were wounded in action," Lysenko said. Read alsoRussia needs war in Donbas – MFA UkraineThe press service of the ATO Headquarters reported earlier that Russian-backed militants attacked Ukrainian army positions in Donbas 117 times in the past 24 hours with two Ukrainian soldiers reported as killed in action, two wounded in action, and another one injured.